Last orders will be taken 45 minutes to an hour before closing time. Pre-booked restaurant tables are usually situated in the small bar or the restaurant. On fine days you can also enjoy your meal or drinks at one of the tables in the garden. We are sorry to be closed on Mondays but we need one day off a week for essential maintenance etc. as very occasionally we all have to take a break at once or more frequently we have a very large function. 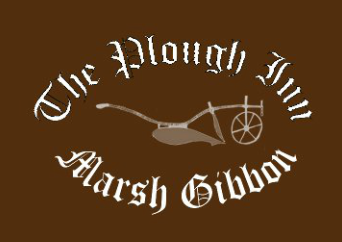 Please check the Diary page and also our Facebook page and Twitter page (@ploughmarshg). Please contact us to pre-book tables for large parties or a la carte meals..
For catering for parties and/or for special events please contact us to arrange times and menus. For room booking for meetings, conferences or courses please contact us for bookings.